Visit High Sierra's Symmetry page. CLOSEOUTS . 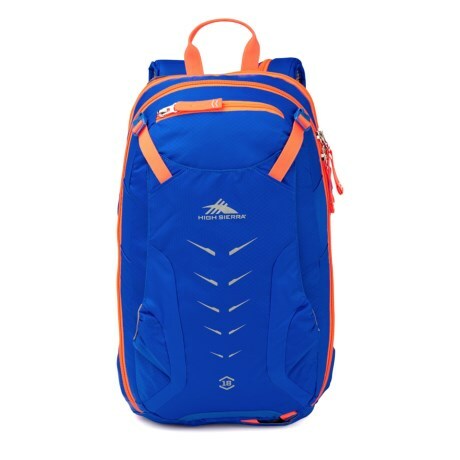 High Sierraand#39;s Symmetry 18 ski backpack keeps your ski day in perfect balance. 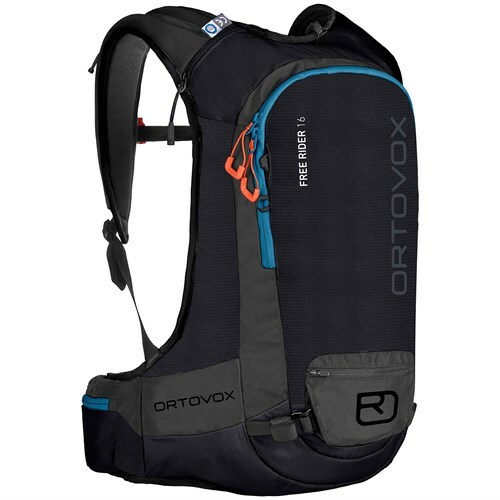 The insulated shoulder strap keeps your hydration tube from freezing, and multiple compression straps offer a variety of carrying options for your skis, snowboard and more. 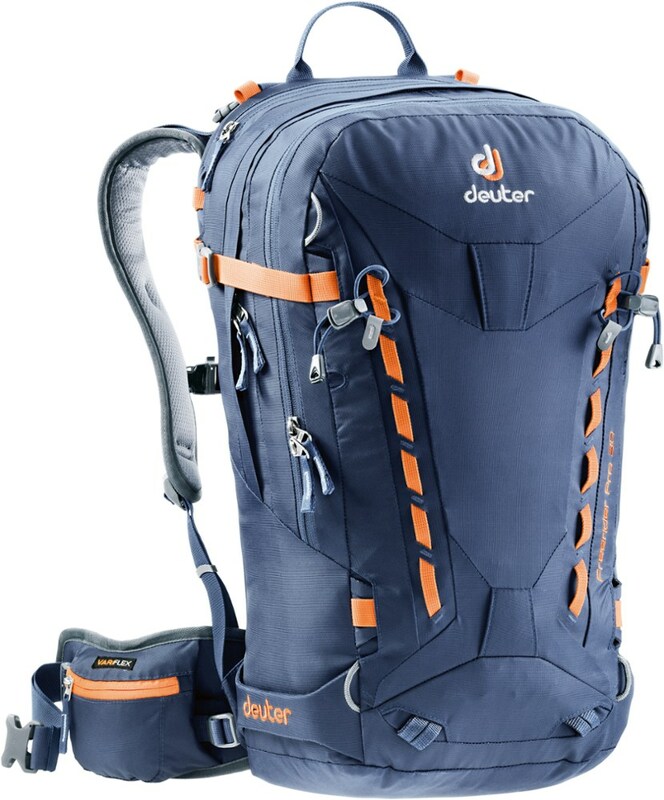 Available Colors: BLACK/MERCURY/CHARCOAL, VIVID BLUE/ELECTRIC ORANGE, LIME/RED LINE. 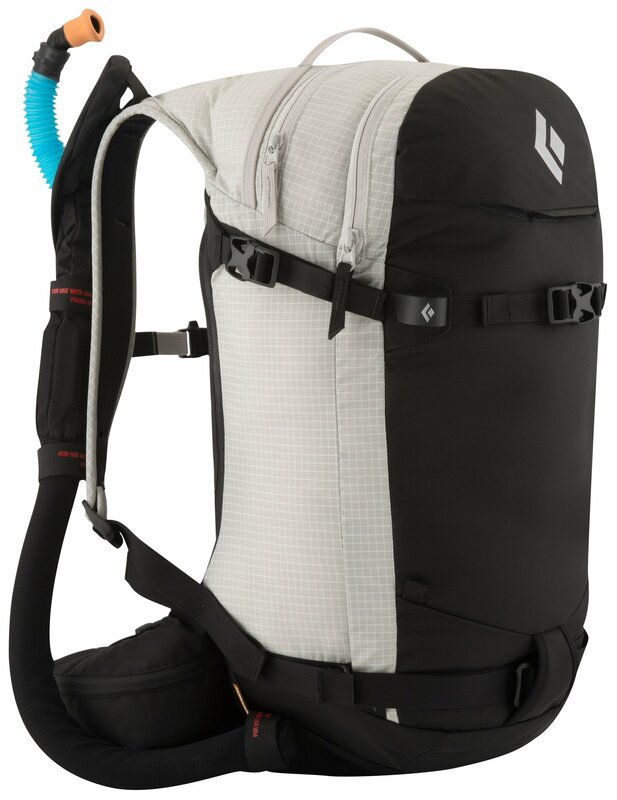 The High Sierra Symmetry 18 is a roomy snowsport pack with a panel load main compartment that will hold a shovel, probe, and other essential snow tools, inside the main compartment is a zippered organizer pocket with a key fob to keep your essentials within easy reach and out of the snow, a separate hydration compartment on the back of the bag securely holds your reservoir and keeps it away from sharp objects, a zippered hydration tube cover on the shoulder strap is insulated and has an integrated heater pack pocket to help keep drinks from freezing, an integrated sport flap on the front of the backpack has a foldaway tab that can be used to carry a helmet, snow-shoes, or climbing gear, a tricot lined accessory pocket holds goggles or other necessities, adjustable tuckaway webbing straps with quick release buckles are perfect for vertical snowboard carry, adjustable tuckaway webbing straps on the top and bottom of the bag are perfect for diagonal ski carry, s-shaped shoulder straps with Collar Comfort edges, an adjustable sternum strap, a removable cell phone pocket, a single contoured aluminum stay frame bar adjusts to fit the shape of your back, a padded back panel, and an adjustable waist belt. 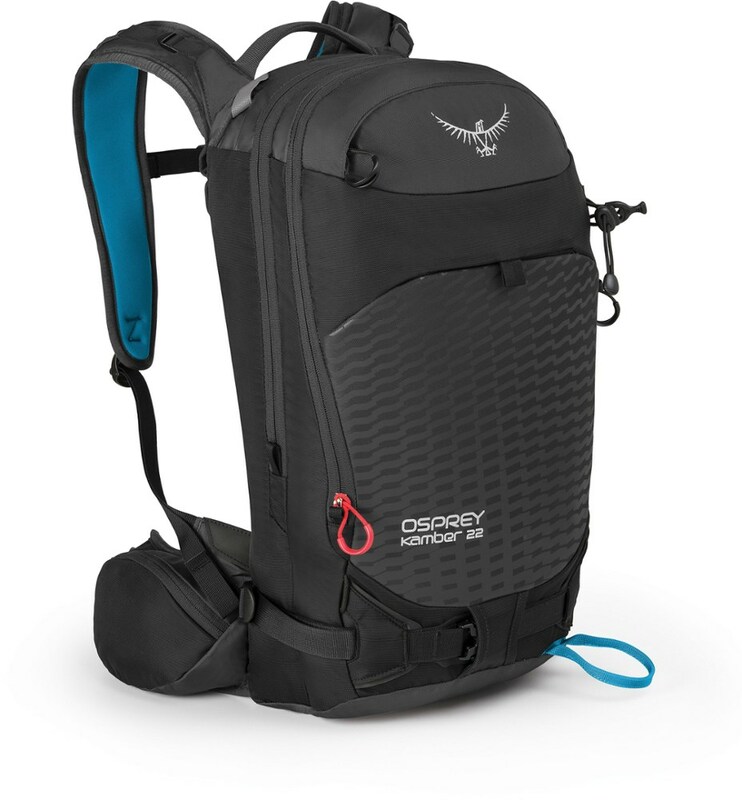 Like powder 8's in your own turning contest, the High Sierra Symmetry Ski and Snowboard Backpack gives you a balanced attack. 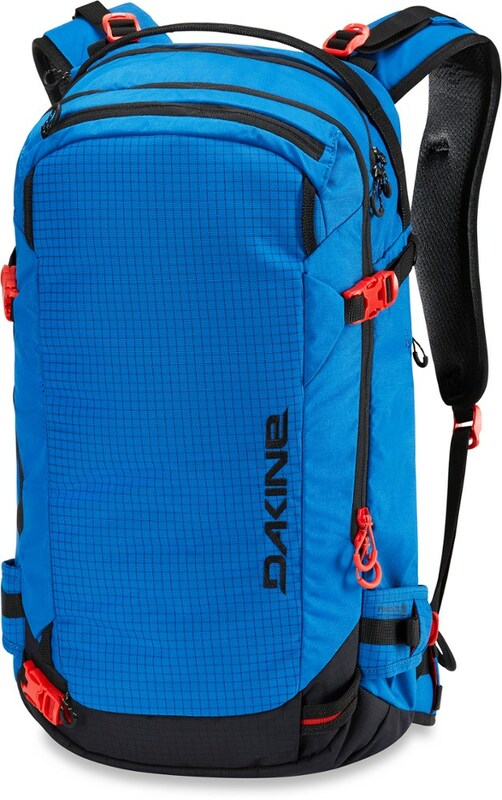 This roomy panel-loader holds a shovel, probe and essential snow tools in its main compartment, provides a zippered mesh organizer and key-fob to keep your essentials within easy reach, and keeps fluids handy in its separate hydration compartment on the back that keeps it away from sharp objects (reservoir not included). 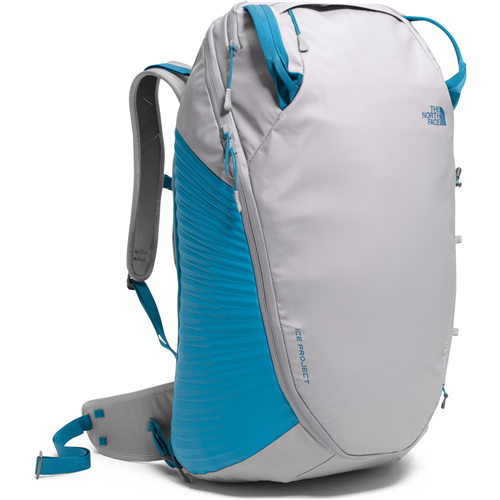 A zippered hydration tube cover on the shoulder strap is insulated and has an integrated heater-pack (not included) pocket option to help keep drinks from freezing. The High Sierra Symmetry is not available from the stores we monitor. It was last seen February 16, 2019	at Sierra.